In the recent episodes of A House Through Time (BBC2 Thursdays 9pm) several of the fascinating characters whose lives have been researched by historian David Olusoga have been lodgers at 62 Falkner Street, Liverpool. 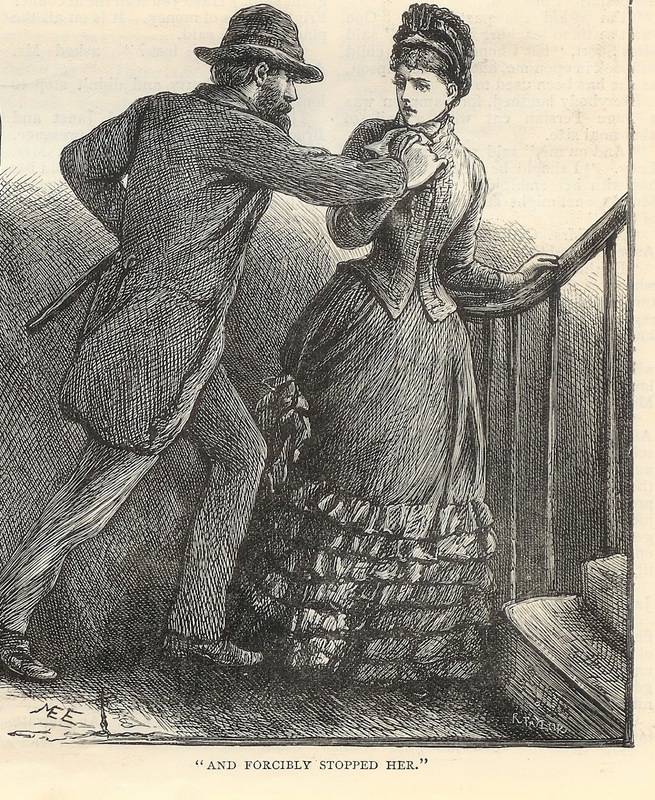 Whilst researching your ancestors on the nineteenth-century censuses, you too may occasionally have been surprised to find that some of them shared their homes with people who were not kin. Conversely, you may have discovered that one or more of your ancestors spent time out of the family home living as lodgers with another family in a different part of the British Isles. In fact, hundreds of thousands of people lodged in the nineteenth and early twentieth centuries. From the 1831 census onwards, the terms ‘boarder’ and ‘lodger’ were used to define guests who (unlike ‘visitors’) paid rent to the householder. Whereas ‘boarders’ shared the kitchen and dinner table with the householder, ‘lodgers’ were expected to live and eat separately. Censuses rarely record ordinary householders who took in lodgers as ‘landlords’ or ‘landladies.’ It is worth remembering that many women who are recorded simply as non-working ‘wives’ on the census may have actually have been kept very busy tending to the needs of multiple paying guests. Other women who took in lodgers were widows with no other adequate means of support. They often took on the role of landlady in conjunction with some other work such as dressmaking. Other frequent landlords were couples in late middle age whose children had moved on, and young couples with young children (tots could be bundled into the same bedroom as their parents, thus freeing up rooms). Clerics, doctors and schoolteachers often took in lodgers to whom they might pass on their professional skills in a kind of apprenticeship arrangement. Lodgers were to be found all over the British Isles in both urban and rural communities and ‘lodgings’ could be anything from the dreaded workhouse, to pubs, schools, dressmaking establishments, and (as the appetite for holidays increased) to boarding houses in seaside resorts. From the middle of the nineteenth century onwards, establishments of a certain size housing several lodgers were designated as ‘Common Lodging Houses’ and had to follow rules and regulations laid down in the Common Lodging Houses Acts of 1851 and 1853 and other related legislation. In cities like Manchester - where there was a severe shortage of municipal housing – it was more usual to hold a house as a tenant rather than as an owner. The setting of rents was largely unregulated and, faced with high rents, tenants were often forced into subletting to lodgers to avoid eviction. Lodgings were invariably situated in fairly poor areas, but not, however, in the very poorest areas since here severe overcrowding meant that subletting to strangers was nearly impossible. Early trade organisations often provided their members with lists of potential lodging houses in areas to which they intended to move. Families might advertise lodgings on cards placed in their windows. From the 1870s onwards, Common Lodging Houses were required by Act of Parliament to display a notice stating their status in some conspicuous place. Also from this period, names of lodging housekeepers had to be registered by urban and district councils. What Could Lodgers Expect for their Rent? Lodgers may have been provided with an unfurnished room to which they would have been expected to bring their own effects. Alternatively, they may have rented a room ‘all found’ - that is, furnished by the landlords. Usually lodging was undertaken on the condition that ‘attendance, light and firing’ were supplied. ‘Attendance’ covered a range of services from cleaning the lodger’s room to carrying water, emptying slops such as waste waters and chamber-pots, making fires, running errands and cleaning boots. ‘Light’ referred to the fact that candles would be supplied and ‘firing’ to the provision of coal. Lodgers might cook their own meals on their own fires, or might buy their own food and pay a small sum for it to be cooked by the landlady. Male and female lodgers would have received different sorts of treatment. A landlady might have done a male lodger’s washing, for example, whilst a female lodger would have been expected to do her own. It is unlikely that we will ever be able to find out exactly what working-class landlords might have charged, but the chances are that they were not making much of a profit. Taking in lodgers was part of a subsistence economy in many cases. Under apprenticeship arrangements, eighteenth-century lodgers had tended to learn a skill during the time they lived in the houses of others. But the nineteenth century was a very different world. Now, lodgers were expected to pay for their accommodation in cash and, generally, did not receive any training in return. They also had far more freedom; landlords were no longer their masters. As a result of these changes, lodging came to take on a new, and much more downmarket character in the Victorian city. The middle classes began to view lodgers and those who ran lodgings with disdain and suspicion. Lodging houses were popularly assumed to be dirty, and their communal facilities to foster immorality. In the imaginations of the middle-classes at least, young male lodgers posed a threat to the virtue of the women in the household. And female lodgers too came in for censure – it was assumed that they were ‘looser’ than domestic servants. Another aspect of lodging disliked by the middle classes was the fact that it mixed together the private world of domestic life with the public world of business. For those middle-class Victorians who believed in the separation of the two worlds, this was something to be avoided on all counts. In the popular imagination, male lodgers might, at any moment, try to defile female members of the household on the backstairs! 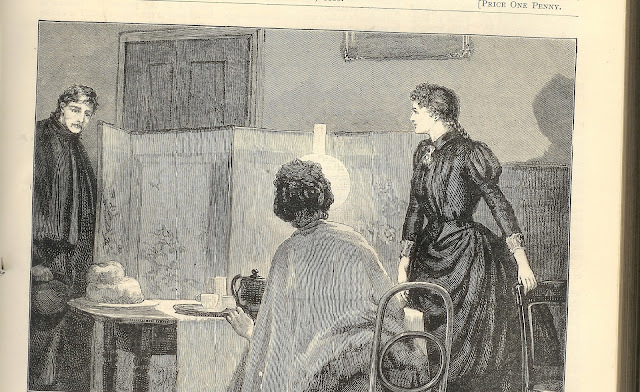 Girl’s Own Paper Vol IX, No 410, November 5th 1887. This negative feeling towards lodgers and lodging houses resulted in a number of laws being passed in the 1850s to try to ameliorate the conditions in some of the larger so-called Common Lodging Houses. In 1851 and 1853, the Common Lodging Houses Acts allowed specially appointed agents of the Metropolitan Police (and later the police in the provinces) the right to enter and search lodging houses at any time of the day or night to check on the numbers of people sleeping there, the mixing of the sexes in the sleeping arrangements, and the sanitary arrangements. 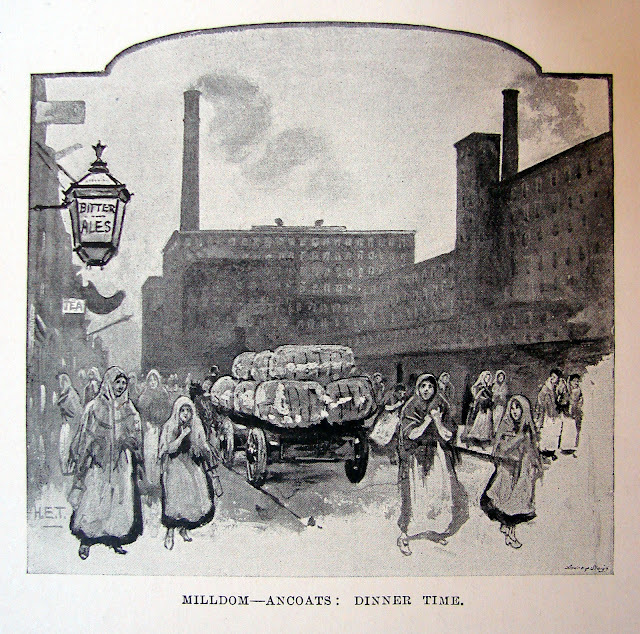 Later Acts went still further in tackling the perceived filth and immorality of some of the larger lodging houses. Small-scale lodging arrangements in private families were not affected by these Acts. After World World War I, many middle-class widows whose husbands had been killed were compelled to take in lodgers or ‘P.G.s’ (paying guests) to make ends meet. From this point onwards the image of lodging did improve slightly. It was, after all, an activity that actually enriched communities. The money brought in by lodgers helped many working-class families survive and the very existence of lodgings enabled many more to move to where work was and, in turn, support their own families by sending money back home. And perhaps just as significantly, having a lodger – or lodgers – brought families into contact with people from other places, classes and cultures and gave them a window on the world that they would not otherwise have had. If you have been inspired by David Olusoga's 'A House Through Time' and have an interesting story about a lodger in your family, please use the COMMENTS box below to tell us about it. Why not read another article related to 'A House Through Time'? Want to find out more about your house and your street. Take a look at this project on 20 streets in Brighton and Hove for lots of ideas on how to go about it. My House My Street Project. Barker, Hannah, The Business of Women: Female Enterprise and Urban Development in Northern England, 1760-1830, OUP, 2006. Leonore Davidoff, ‘The Separation of Home and Work? Landladies and Lodgers in Nineteenth- and Twentieth-Century England’, in Burman, Sandra, Fit Work for Women, Croom Helm, 1979. Drake, Michael, Time, Family and Community: Perspectives on Family and Community History, WileyBlackwell, 1993. Symes, Ruth A. Unearthing Family Tree Mysteries Pen and Sword Books, 2016. Symes, Ruth A. Family First: Tracing Relationships in the Past, Pen and Sword Books, 2016. Walton, John, The Blackpool Landlady, Manchester University Press, 1978.
http://www.workhouses.org.uk/index.html?dosshouses/dosshouses.shtml Information and images of Common Lodging Houses mainly in London. http://homepage.ntlworld.com/hitch/gendocs/lodging.html Extract from Dickens’s Dictionary of London, 1888 on lodging houses and their location. This article was first published in Discover My Past England online magazine.